It’s rarely a hustle free day for an HR personnel. They are constantly sifting through text-heavy applications to find the new recruit profiles, finding ways to engage the current employees, solving employee problems, training new recruits and what not? Though they consistently put in their best efforts, they keep finding themselves trapped in the never ending loop of HR problems. But there is one problem that is common among all HR executives. 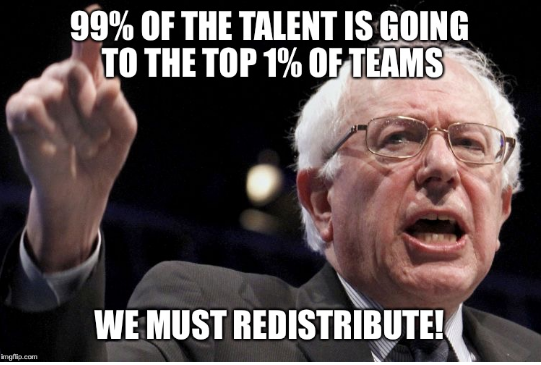 They end up losing the best of their talent pool to the larger, the more reputable and better-paying multinationals. They are now posed with the bigger challenge of recruiting talent who are as good as the once that left. Now when talking about attracting the best talent, who better can we look up to than the leader who kickstarted the smartphone revolution? Though Steve Jobs might seem like an unconventional example, it’s a known fact that he had an eye for hiring the best talent. He had a very clear ideology that in order to make Apple the best company in the world, he needed the best people. The results of his strong hiring ideology can be seen even today with Apple topping the most valuable brands list year after year. The fact that Steve Jobs has established through the quote is that ‘Top talent is a basic necessity for a company to accomplish its goals’. In fact, he had personally interviewed over 5,000 applicants during his tenure. But not all companies can attract talent like Apple. Can they? The challenge that the young startups and SME’s face is that the current generation doesn’t just look for the best job profile. 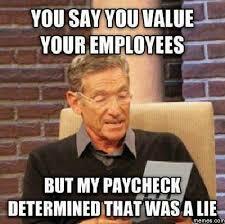 They consider multiple factors like an attractive paycheck, friendly work culture, Job security, job flexibility etc. before they decide to commit to an organization. With so many factors acting as challenges for the HR department, how can they still attract good talent? Add the budget allocation hurdle they face every year to the equation and you have got a crisis situation. Though the cost of bringing in good talent(cost of Ads and Posts on Job listing sites) is increasing year after year, the budget allocated for recruitment doesn’t seem to be doing the same. So is there a way for them to jump over this hurdle? Let’s have a look. On a fine morning in the year 2004, a strange billboard appeared on a silicon valley highway. It didn’t take much time before it kindled the buzz and curiosity among those who passed by. 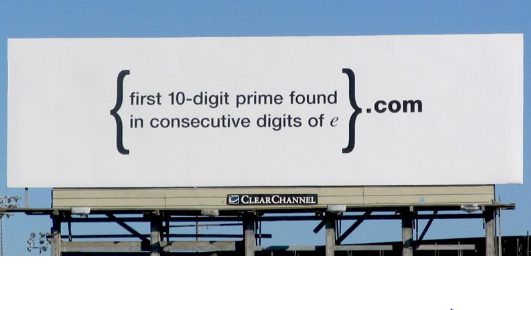 This was the famous “Google cryptic billboard”- a smart tactic used by Google to identify talented problem solvers and go-getters. Google broke the shackles of the traditional recruitment and managed to garner the attention of the brightest minds in Silicon Valley. Bear in mind that Google was only 6 years old at that point. Quixey, a young startup tackled the problem of competing with corporate giants by taking a similar approach. They challenged engineers with a programming puzzle and pushed the puzzle as a competition with a $100 reward. The competition garnered huge attention and at the end of it, instead of a $100 gift card, the winners were given job offers to come and work with their company. The one thing that is common between the two examples mentioned above is that they used “Out of the box” recruiting methods to reach the right candidate. There are many more companies which have used methods such as these to make their companies more attractive than their multinational counterparts. So, can this recruitment approach be replicated to the current day scenario? Back in 2004, billboards were still among the most used and most effective mediums to get the word out and improve the awareness among daily commuters. It was a great advertising tool and it was further amplified by word of mouth. The same can’t be said about the present day since we are in an age dominated by social media platforms. The billboards don’t create the same kind of impact it created in the past. The trends have changed and so have the type of content people consume. Since 2007, YouTube has fast forwarded the video revolution and changed the perception of communication. The number of video viewers has been drastically increasing year after year, and video is taking every industry by storm.So the recruiters also have to enhance their approach to recruitment to catch up with the pace of the present generation and gain their attention. Here are few ideas on how you can use a mix of creativity and skill in your videos to expand your reach to the millennials. It is no secret that talent is attracted to a great company culture. And, normally when a person starts assessing the possibility of working in a company, they start to search for work culture related information. Having a well-crafted work culture video hosted on the company’s YouTube channel, showcasing information such as a friendly work environment, great cafeteria, and recreational facilities will easily attract loads of talented youngsters. Worried about the cost of making the video? Remember that a good work culture video can continue to generate traction for your recruitment process for at least 10 years. If you are still not convinced about the investment needed for a work culture video, you can still try it out by taking a different approach. You can use the video creation talent that is available within your company and make a stunning work culture video. The plus side of this approach is that the video creators understand the company culture better as they are part of it and it does reflect on the quality of the final video. Having such videos hosted on the Career page of companies can make a massive difference in the recruitment conversions. One problem that all early stage startups face is not having clarity on what type of talent they need in the company. The recruiters have a tough time finding talent without knowing the exact requirement of the organization. An open-ended job posting telling about the story of the company, their ambitions, and their funding story so far can generate lots of interest in the young and aspiring tech population. Since this job posting doesn’t highlight any skill in particular as a need, people with all types of skill sets send their resumes to the company. On seeing the skillsets of the people who applied, the founding team can easily figure out who they currently need in their business to achieve their goals. Since these are who genuinely want to be part of a Startup’s growth story, the founders can rest assured that the new hires will help them reach for their dreams. Upworthy has used this approach to hiring their potential candidates and has succeeded in getting the best hires in diversified roles. Remember the puzzle based hiring approaches we spoke of in the beginning? The same approach can be tailored to the present day as a fun Animated video and can be used to garner loads of visibility among job enthusiasts. The reason why these types of job opening posts work is because it appeals to the nerd in each one of us. Every time we see such a post, we at least try out the problem in our head before giving up eventually. In the form of a video, the questions are easier to convey, thus making the hiring process simpler. Videos also get shared more, thus reaching a lot more potential hires. You are probably still pondering over the cost of making these videos. Aren’t you? I wouldn’t really worry about that because the last job puzzle video mentioned above barely took us any money to make. By making the Corporate culture videos and job opening videos using a DIY animation tool like Animaker, you can bypass the need for huge amounts of money and resources you will need for video creation. So instead of worrying about the cost and budget allocated to the HR team, the team should worry more about the content and execution to have more successful recruitment drives. Apart from using innovative content, it is also imperative that a well thought out plan is in place for the distribution of the information about the job openings. Here are a few tips for you to excel on the distribution front. Like a storefront for a roadside shop, a website is the first place which meets the eyes of a prospective client or a prospective employee. So, it’s important for brands to ensure that their website is visually attractive and practically intuitive. As mentioned before hosting Job opening videos and company culture videos on the career page of the website can improve the conversions to visits ratio. Company websites are a top job hunting source for candidates." - Hyatt told Business News Daily. Still overlooked by many companies. Recruitment via Social Media channels is one of the most efficient ways of recruitment. With the help of affordable paid ads on Facebook and with the visual virality of Instagram and Snapchat, a company can easily reach prospects at a personal level and increase the chances of hiring the right candidate. 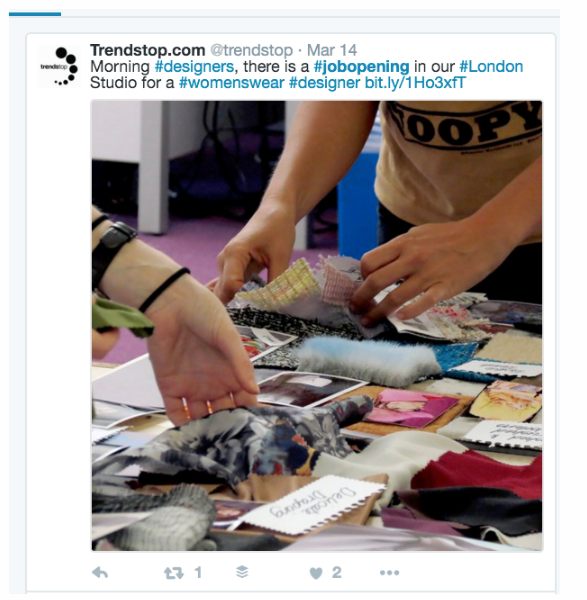 Pro Tip: Use relevant hashtags when you post job opening posts and videos. This increases the possibility of you getting more bang for your buck. Even established companies who faced challenges in hiring talent in markets like Netherlands have looked to social media as a savior and have succeeded in their mission. Here’s a case study from Deloitte NL which beat the hiring challenges with the use of Social Media. Gone are the times when a recruiter poured money into a job hosting site, shortlisted profiles and reached out to them to check their interest in the job opening and then proceeded with the hiring process. At an age where the ideal candidate belongs to the millennial generation, the best place to convey information to them is in their own backyard (social media videos). Research shows that millennials are more attention seeking than any other generation. This is why they spend most of their time online sharing and talking about things. If one can appeal to and connect with a millennial at a personal level, they are bound to spread the good word. Thus, by utilizing a hybrid hiring approach generating paid+inbound visibility is the best way for you to move one step closer to becoming a recruitment rockstar.